This version is mandatory, when using some of the newer Nebula libraries like Tim Petherick’s U76. Problems with ACQUA after the latest version of Nebula has been installed ??? 32 bit (x86) OSX versions of Nebula Setups 2.1 & NebulaMan 2 (in development) will NOT be available, because there is too much tricky stuff to be done to support Carbon based 32 bit plugins inside Cocoa based QT framework, which is a foundation for my programs. As x86 architecture will soon be completely obsolete on OSX, further development of 32 bit tools is now officially abandoned. 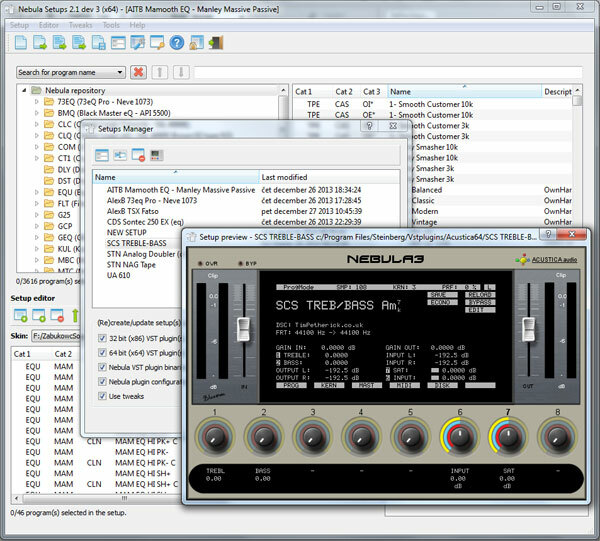 Since Nebula Setups already supports both 32 and 64 bit setups, this is not an issue. The cause of the problem is that plugin names must differ at 9th character to be propery recognized by Cubase/Nuendo. 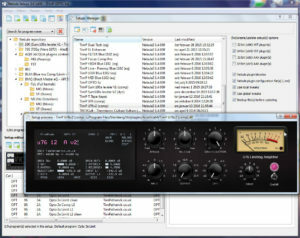 Wavelab & Reaper for example, don’t have this problem. Please change your setup naming convention, when using Cubendo.